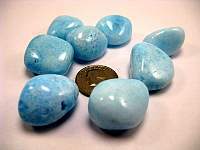 This Blue Aragonite puffy heart shaped gem stone is beautifully polished and is said to increase energy and it increases the energy of prayers and magick charms. Metaphysically this crystal is said to boost self-confidence and feelings of self-worth, diminishes anger and relieving stress. 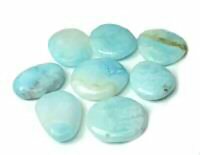 Blue aragonite is a gentle stone that is used to calm emotions ans intensify enjoyment in all emotional states. 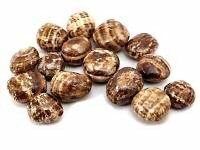 It banishes the fear of feeling unwanted emotions and opens renewed abilities to feel all your emotions. This is a healthy alternative to suppressing and numbing your emotions due to fear or pain. 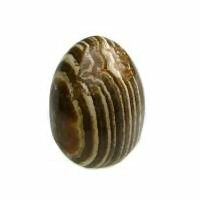 It stimulates inner vision, assists the use of psychic abilities, is an excellent self-healing stone and encourages compassion and the ability to communicate. It is associated with the Throat, Heart, Third Eye chakra. Blue Aragonite combines well with moldavite which magnifies and quickens all it's effects. Aquamarine, larimar and blue topaz add to the enhancement of communication. 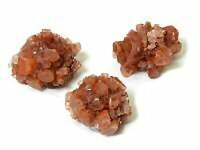 Danburite, petalite and scolecite increase its effect of ones spiritual capacities. Seraphinite can strengthen blue aragonites healing properties.